Stamford, Connecticut, U.S.A. --- A Roman Catholic underground priest, Father Yang Jianwei 楊建偉, and ten seminarians were arrested in the afternoon Beijing time November 12, 2005. Six seminarians are from outside of the Baoding 保定, Hebei 河北area. The other four are from Baoding. The arrest took place in a nearby village of Xushui City徐水縣城 in Hebei by approximately 20 government security officers. We do not know why they were arrested. Many religious books and RMB 7,000 were taken away by police. After being detained for three days, those six seminarians who are from outside of Baoding were released and were sent back to their home towns instead of being sent back to their seminary. The other four seminarians from Baoding are still kept in police custody, and their whereabouts are unknown. They are FAN Fubin 范富彬, WANG Yongliang 王永亮, WANG Chunlei 王春雷 and LI Yutao 李玉濤. Father Yang, who is 33 years of age, is still kept in police custody and his whereabouts are also unknown. 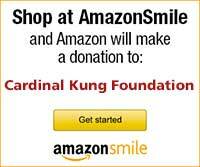 Father Yang was ordained an underground priest in 2000 and was born in Shakou Village 沙口村 of Xushui City. Shakou Village has an underground Roman Catholic population of approximately 1,000 people. 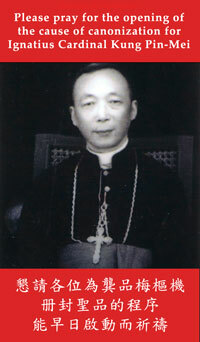 Joseph Kung, the President of the Cardinal Kung Foundation, said: "In the recent weeks, there is a renewed and more intensified campaign by the Chinese government to force the underground Church religious and faithful to register with the official Patriotic Church and to institute more control over the underground priests by means of arbitrary detentions such as the one we are reporting today and the re-arrest of Bishop Jia Zhiguo on November 8. I call once again for the Olympic Committee to take note of these arrests and to consider canceling the Games in China, not only to preserve its good name and spirit, but also to act as a bargaining chip to improve China's human rights and religious freedom practice."